Dubai International Airport has a wide selection of bars & restaurants for passengers to choose from and there are various lounges and bars which are scattered throughout the terminal buildings and concourses at Dubai Airport. The departures lounge in Terminal 1 at Dubai Airport is home to the food court which has more than 25 different restaurants and bars, ranging from specialty cuisine to Irish pub food. Contact via telephone +971 6 572 5537 or by email at: mcdsuae@emirates.net.ae. A meal at Mcdonalds in Dubai Airport will cost you around 30.00 AED per person (approx 5.00 GBP). Round Table Pizza at Dubai Airport has always been known for quality ingredients and freshly rolled dough. A meal will cost around 70.00 AED per person (approx 12.00 GBP). You can contact the restaurant by calling +971 4 216 4158. Contact via telephone on +971 4 224 5910. Le Matin Francais offers a wide variety of French fine dining options. The Bistro at Dubai Airport is the perfect place to experience traditional Lebanese food at good prices. Jashan is one of the best-renowned Indian restaurants in Dubai and at Dubai International Airport. It has a good selection of well-prepared Indian food. A meal will cost around 60.00 AED per person (approx 10.00 GBP). You can contact the restaurant by calling +971 4 224 5660. Contact via telephone +971 4 216 4167. At the Tansu Kitchen you will find reasonably priced good quality Chinese & Mongolian barbequed food. This is the main restaurant in the concourse and is divided into three areas; ‘Pint 19’ the bar, the buffet section and the a la carte restaurant with an open kitchen, offering international cuisine. The international coffee house is based near Gate 1. Enjoy the warm and welcoming atmosphere. Then the great range of authentic coffee drinks. A meal at Burger King at Dubai Airport will cost around 30.00 AED per person (approx 5.00 GBP). The Rupee Room cuisine ranges from traditional Punjabi dishes, the age old Dum Pukht Mughlai to the very popular “Brit” curries. For more information telephone +971 4 390 5755 or email info@therupeeroom.com. The price will be about 120.00 AED (20.00 GBP) per person. The Coffee Bean & Tea Leaf has remained true to its customers and brought the most extraordinary collection of coffees and teas from the world’s most exclusive growing estates. Second Cup’s distinctly Canadian identity and ambience, combined with a product line of twenty premium coffees have successfully established a strong following among coffee lovers. The home of authentic Lebanese cuisine at Dubai Airport. Indulge in a tasty meal, shisha and good conversation at Mashawi. If you are looking for a laid-back, delicious and affordable meal at Dubai International Airport, Mashawi is the place to be. The well known BinHendi restaurant, Japengo Café has opened a 24-hour outlet catering to thousands of hungry travelers. Japengo serves breakfast, lunch, dinner and snacks around the clock, seven days a week. A meal will cost around 30.00 AED per person (approx 5.00 GBP). Serves an excellent array of cakes and desserts and all the gourmet delights you would expect from a French patisserie. Cosi is world famous for the delicious flatbreads made there. Also offering salads and refreshments at reasonable prices, Cosi is a great place to relax at Dubai Airport. Situated in Terminal 3. The Wine Shop is a perfect stop for a sneaky glass of wine before a flight. Italian coffee specialising in various espressos. For more information please call +971 4 324 3757. Good To Go at Dubai Airport provides a unique experience offering an abundant choice for those looking to eat on the go, with a range of well presented and health conscious products that are additive free, low in fats and sugars and above all else good to eat. For more information please call + 971 4 2203809 or email goodtogo@elr.ae. Pulp Juice is a concept of a funky stand juice bar and offers three categories of beverages made of over 15 varieties of fruits, all drinks containing less than 2% fat and served with no added sugar, no artificial flavors, colors and preservatives. For more information please check the pulp juice website www.pulpjuice.net. 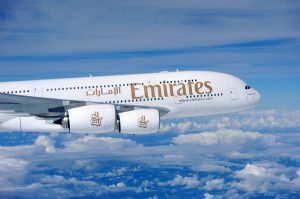 Contact telephone +971 6 572 5537 or by email at: mcdsuae@emirates.net.ae. A meal will cost around 30.00 AED per person (approx 5.00 GBP). Enjoy the irresistible quality of smooth tasty Haagen Daz ice cream at Dubai Airport.